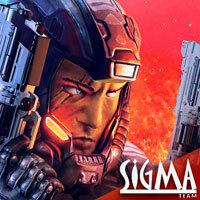 The second installment of the legendary Alien Shooter is now available on your Android for free! Try and you will be pulled into the heat of explosive action, along with millions of players all around the world! But most importantly, by popular demand from our players, the game now has a multiplayer. Upgrade your hero, upgrade your weapon and test your skill, competing with players worldwide! The legendary game that won over the hearts of many PC users is back to Android with a new look! The world is in danger: a deadly virus is infecting a growing number of new territories, turning people into zombies. Make your way to the evacuation center, take part in the great battle for survival, and discover the cause of the virus! Don't miss new part of the legendary game familiar to millions of users from all over the world from the childhood! The war to save the Earth is on a full scale, severe fights are all over the planet surface. Scientists are studying the imminent danger, but the volume of information about the monsters that we have is awfully small. It is a fun party game. Crazy Lunch develops memory, typing and reaction skills in a funny and easy way. You and your children will definitely like these odd creatures in bright jogging shoes and yellow gloves!